Clipping rabbit's nails is actually a pretty simple process. Of course you could clip a rabbit's nails a variety of ways, but the easiest way I have found to clip nails is laid out below. Flip the rabbit upside down and place the rabbit between your legs. 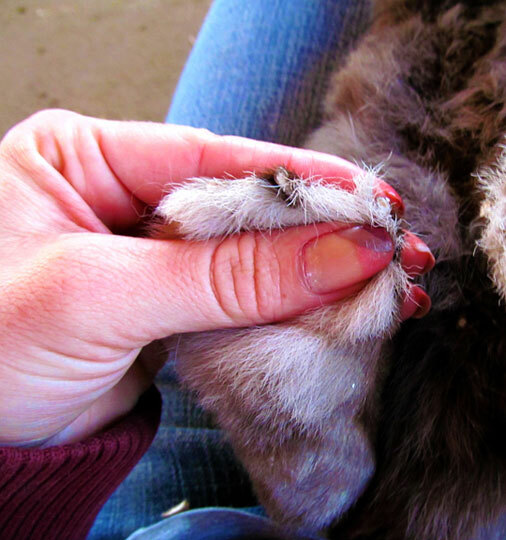 I cross my one leg over my other calf, so that the rabbit is nestled in a little "hole" and will feel secure. Then just grab each back foot as is shown in the pictures below. 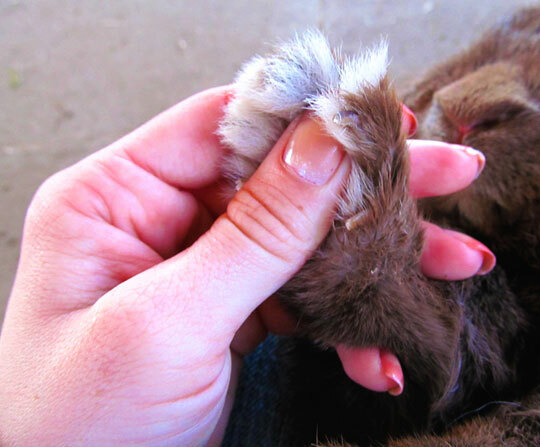 If you push on the middle/pad of the foot near the toes, the rabbit's toes will spread out and make it easy to clip. You want to avoid clipping where the "pink" starts in the nail, as that is the blood. Do the same with the front feet. 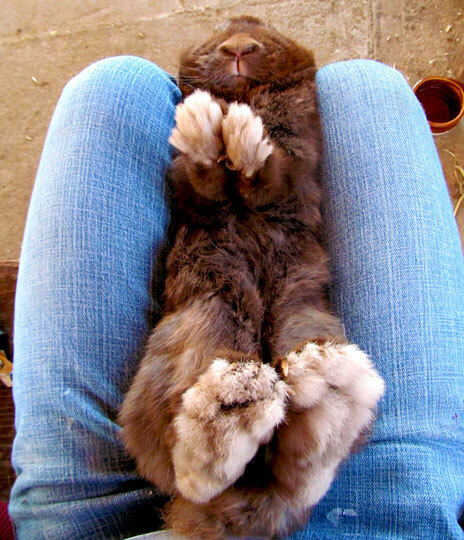 The rabbit will kind of spread it's toes out once you push in the middle of the foot. That's it! It's quite simple.